LB Contracting and Roofing believes in bringing professionalism to the Atlanta roofing industry by keeping our accreditation’s and classifications current and up to date. 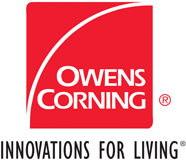 Owens Corning Preferred Contractor – Our affiliation with the most recognized, innovative name in the industry. We have met t he rigorous criteria of Owens Corning to become a Preferred Contractor. Owens Corning Exterior FX – We are certified to use design visualization software that can show you what the end result will look like – before the work begins. GAF Authorized Installer – This means that the largest roofing manufacturer in North America will back up our labor warranty. Simply put, we install roofs exactly to the specifications of the manufacturer. Certainteed Shingle Master Company – We are professional craftsmen providing customers with the security of having knowledgeable crews on their roof. Certainteed Quality Master – is a shingle roofing professional who is willing to work harder than most to understand the standards and practical realities of shingle product quality. A Quality Master has proven knowledge of asphalt shingles from product components to design features and warranties. Hydro Stop Approved Applicator – We are approved applicators of the leader in environmentally safe roofing and waterproofing systems. We can waterproof almost anything. Certainteed Wizard – By passing both the MSA test and the very challenging Wizard test on the first try. The Wizard Test is optimal. It is therefore, only attempted by a small group of dedicated individuals. The certificate is rare and prestigious. Compliance Depot Approved – Takes the risk out of doing business by providing checks on contractor’s criminal backgrounds, insurance certificates, government watch lists, business license and corporate status verification.